I'd never heard of the Liebster Award until this week, but apparently it's a blogging thing where we share the love and help each other get to know a bit more about ourselves. Thank you so much to Kathleen from 60-the new 40 for thinking of me and giving me something fun to participate in. Some of you have blogged for a lot longer than me so if I've nominated you and you have done it all a million times before, please accept my humble apologies and just know that I was thinking of you! 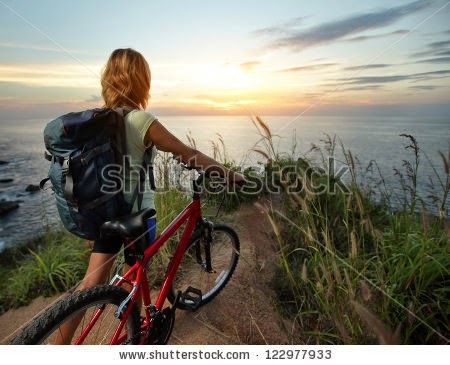 I chose cresting the hill because I see midlife as the point where I'm reaching the peak of life and getting ready to take my feet off the pedals and cruise on down the slope in the years to come. Unquestionably and without a doubt it would be chips - I love any type of fried potato (well any type of cooked potato for that matter). 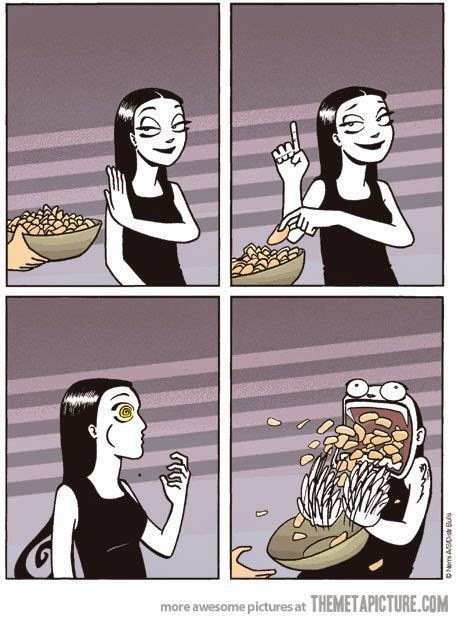 I am a really cheap date - take me anywhere there are chips and I am a happy camper! 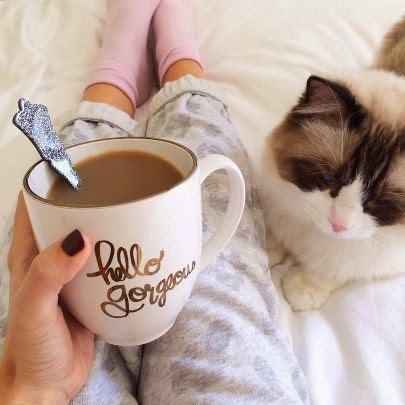 Coffee is always my drink of choice - I've never been a lover of wine (they all taste like vinegar to my ignorant palate) and I can take or leave most soft drinks or juices, but give me a lovely mellow coffee - and a friend to drink it with and I am in my element. Not an item exactly - probably a person. My lovely husband is a definite requirement - he keeps me company and knows me really well and I'd be very lonely without him. I love kittens, I love 1000 piece jigsaws, I'm an avid reader (I love Nora Roberts and Diana Gabaldon), I'm an avid Pinterester, I'm becoming an avid blogger, I'm looking forward to grandbabies, I'm getting a pushbike, I love purple, I have blue eyes, my middle name is Marie, I used to be a dental therapist/hygienist before I got sick of people's open mouths and spit! Australia - I've been to a few other places and I'm always glad to come home - the climate is lovely, the air is clean, the beaches are beautiful, an added bonus is that we are a long way from the world's trouble-spots. I'm truly an Aussie diehard. There is no-one who springs to mind - if I could have anyone to spend time with it would be my husband and kids and their partners and a few close friends - that way I'd be relaxed and feel loved and have all the shared history that makes getting together fun. I am not a fan of camping or any other outdoor pursuit,although I do enjoy a walk in the fresh air - but I'd have to pick Al Fresco dining - sitting in an outside dining area of a cafe with a view - the pic above is a lovely little cafe with outside dining suspended over the river in Harvey WA. In this post, link back to and show some love to the person who nominated you, also nominate 11 other new blogs that would not have more than 1000 followers. Let these nominated bloggers know that you have nominated them and provide a link back to your page to ensure that they are familiar with the Award. 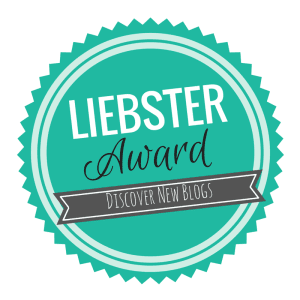 Put your post with your nominated blogs for the Liebster Award, on social media. Spread the love! It was nice to get to know you better. It's funny how blogging can build connections, even though we sit here by ourselves in front of a computer screen. So many of your favorites are mine as well. 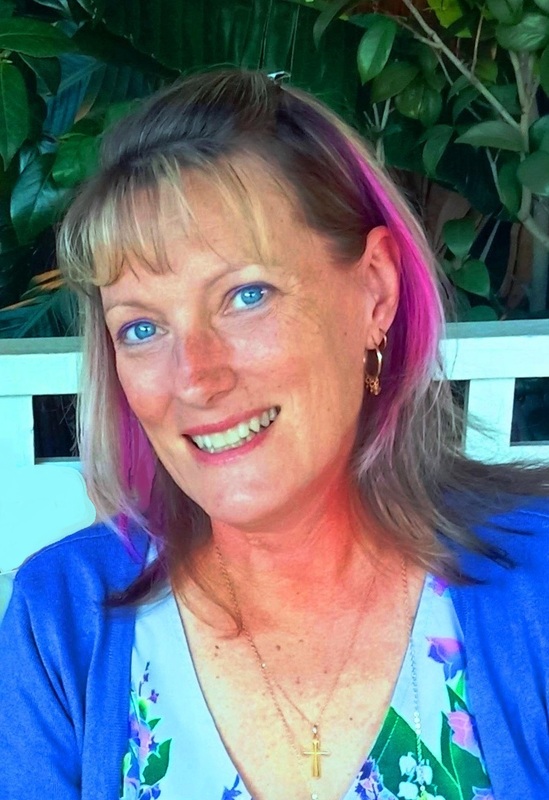 Thanks Kimberley - I love reading your stuff too and it is amazing how you feel like you know someone and yet they live on the other side of the world! What a great post, Leanne! Such fun to learn all these facts about you! Your blog is very worthy of the Lobster award, and I love all the blogs you have nominated here! I really appreciate the nomination, but as I have participated before, I have declined. I am sharing this post though - and highly encourage others to follow your blog and read your thoughtful posts! thanks so much Susan - I thought you'd probably already done it but wanted to send the love your way regardless - thanks for all your encouragement!